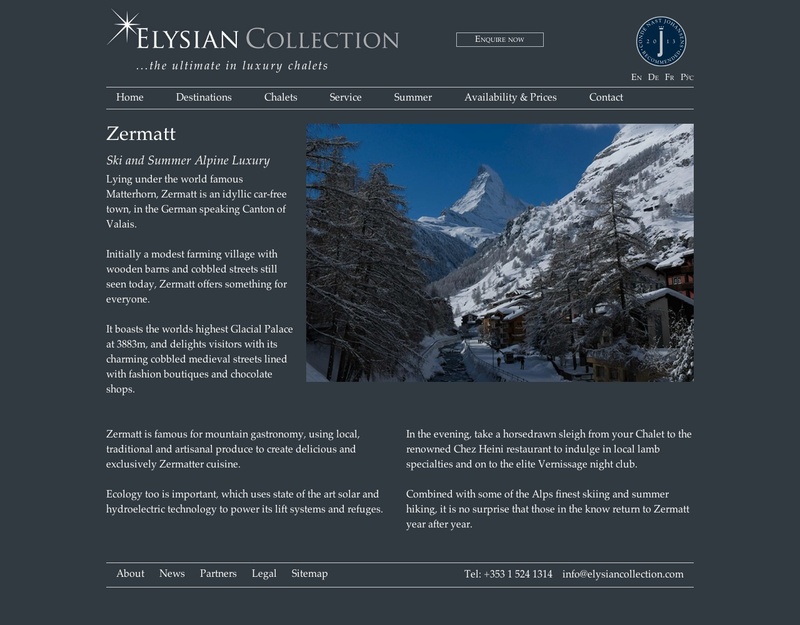 Elysian Collection is a chalet holiday company in Zermatt operating at the top end of the market. Their clients include rock stars and other super-rich types and branding and image are hugely important for them. 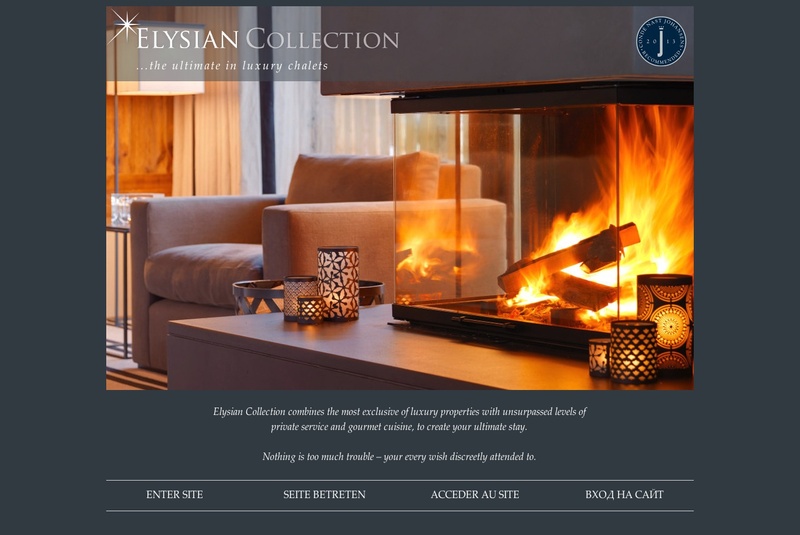 I first started working with Elysian Collection in 2009 when they asked me to develop an improved website at the end of their first year in business. They wanted to be able to take charge of the website content and get to grips with the murky art of SEO. 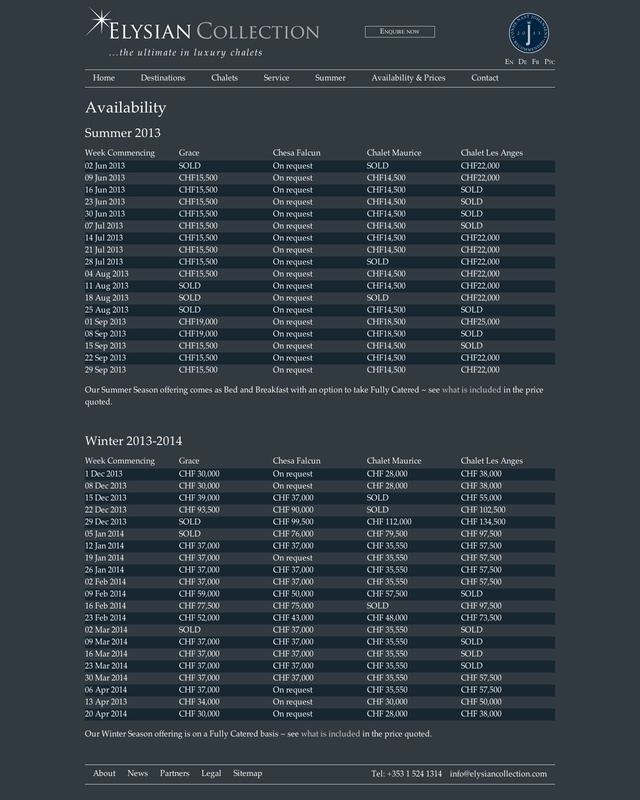 I redeveloped the site using WordPress - I'd been investigating content management systems for a while and decided that WP offered the most user-friendly and intuitive way for users to maintain their own content. There was a real buzz around WP at the time and it looked as if it was destined to become very popular (an accurate prediction as it turned out). Recently I completely rebuilt the site a second time with new visuals and a responsive design based on the Skeleton framework.